Production methods, combined with color, size and shape, determine a tile's look and feel. 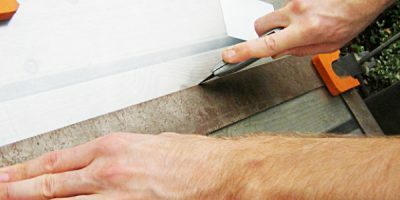 For people buying for a surface application, creating a mosaic, or generally curious about how things are made, the main production methods are outlined below. There are four main types of glass tile: smalti, fused, sintered, and cast. 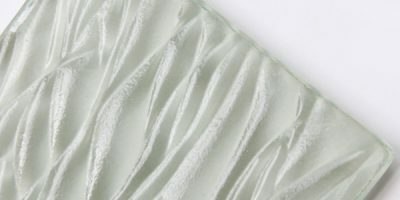 In addition, there are two prominent glass surface treatments for these tiles: slumping and etching. Below, we display slides made with different production methods, followed by some notes on each type of tile. 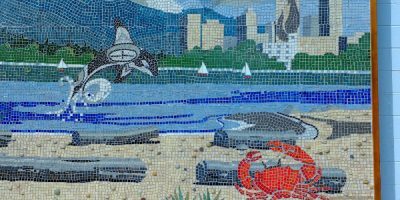 Smalti tiles are typically colorful, textured, small format tiles – good building blocks for artistic mosaics. “Smalti” is an Italian word, and refers to a glass paste or glaze made up of silica melted with sodium or potassium carbonate. Metals are added as stabilizing agents, as well as metal oxides ( for color). The paste is fired at high temperatures, then rolled out into a pancake-like slab that can be up to 6 inches thick. Once cooled, the slab is traditionally hand-cut into small rectangular pieces of tile. 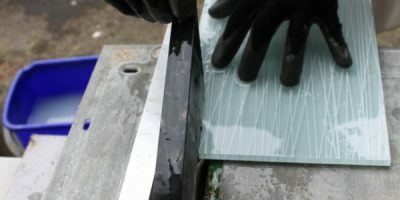 In the fused manufacturing method, flat glass (usually float glass, such as glass used on car windshields) is cut into tiles shapes and then fired in a furnace. 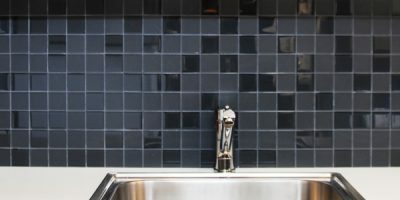 As glass is clear, it will show the tile underpay unless treated with color, so this method usually involves the addition of color – by adding it on top or under the glass. 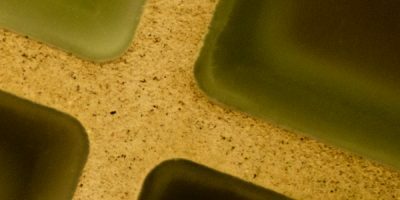 Fused glass tiles are often translucent tiles, with a layer of opaque color visible through the tile. Fused tiles are often treated with an etching or other coating, for aesthetic reasons, or to increase resistance to abrasion. Fused tiles can come in virtually any size – from mosaics to large format. Sintered glass tile is made by pressing glass powder into dies and then heated until the particles fuse. These tiles are often sold in arrays of 1" × 1" squares, but can come in sizes up to 3" × 3". In this method, color is either added into the powder or added topically after cooling. Unlike smalti tiles, sintered tiles tend to have a uniform look. With their milky, scratch- resistant finish, sintered tiles are known for their versatility. 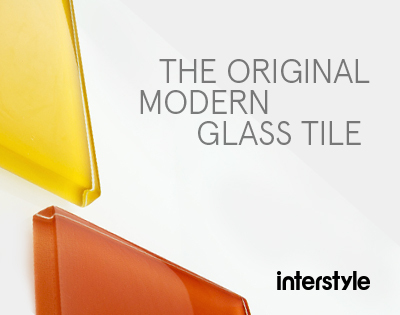 Cast tile is made by inserting chunks of glass into a mold. 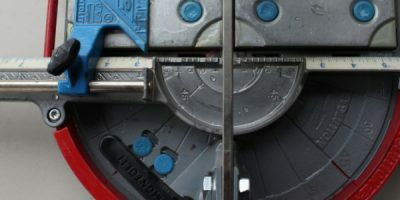 The mold is heated until the pieces melt into each other and become a coherent mass. The result is a layered look. 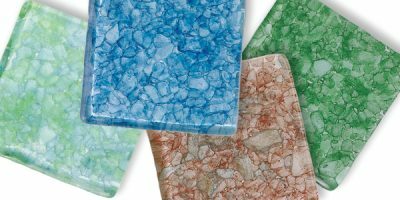 Most recycled glass tile products are made using this method. Slumped glass has been curved into a convex or concave shape during firing. 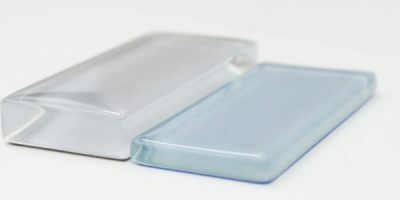 Slumping is usually achieved by melting plate glass into relief molds at relatively low firing temperatures. On cooling, the glass assumes a distinctive curved or contoured shape. Abrasion. Devices can include sandblasters or laser cutters. By applying an acid etch, such as hydroflouric acid, to the surface. By applying an additional, cloudy glass surface to the top of the tile.